Quite a nice gluten-free bread recipe. I made half the dough recipe which will make 2 small loaves and made one loaf after one day resting in the fridge. I baked it in my dutch oven with the lid on for the first 15 minutes. Looks like 'real' bread and has a nice flavour. 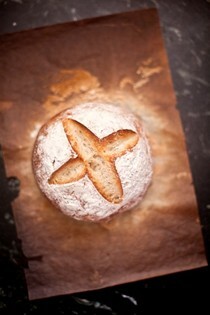 The texture is dense as you would expect using gluten-free flour, but not too dense. 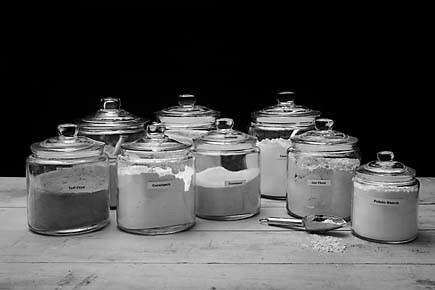 I'm looking forward to seeing how the flavour develops when I make the second loaf in a few days time. First recipe I tried from the book. Delicious. Crispy crust (did the baking soda wash) and inside was soft, tasty with perfect crumb. The loaf was smaller than I expected but otherwise perfect. Be sure to cool completely before cutting. 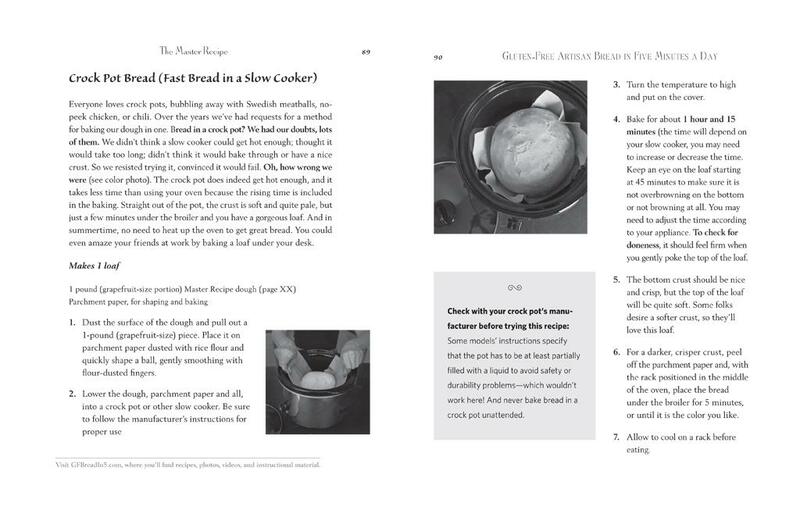 The bestselling authors of the groundbreaking Artisan Bread in Five Minutes a Day bring you a new cookbook with 90 delicious, entirely gluten-free bread recipes made from easy-to-find ingredients. With more than half a million copies of their books in print, Jeff Hertzberg, MD and Zoë François have proven that people want to bake their own bread, so long as they can do it quickly and easily. But what about people with celiac disease or gluten sensitivity? They want to eat well too, but gluten is everywhere: in cakes, pastas, desserts, gravy—even in beer and Scotch whiskey. But the thing they miss most? Bread. 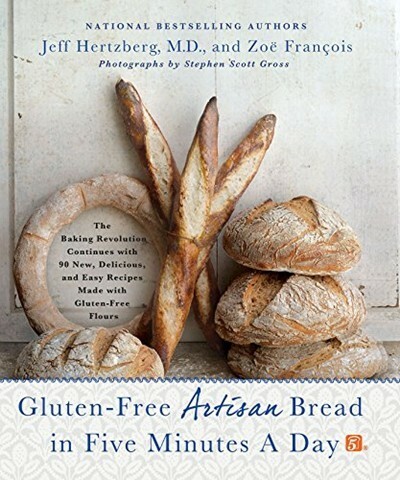 Based on overwhelming requests from their readers, Jeff Hertzberg and Zoë François have returned to their test kitchens to create an entirely gluten-free bread cookbook—most of the recipes that readers loved in Artisan Bread in Five Minutes a Day appear here in a gluten-free version. In just five minutes a day of active preparation time, you can create delectable, gluten-free Sandwich loaves. European Peasant Bread, 100% Whole Grain Loaves, French Baguettes, Crock Pot Bread, Caraway “Rye” Bread, Challah, and even fabulous dessert breads like Brioche, Doughnuts, and Sticky Pecan Caramel Rolls. 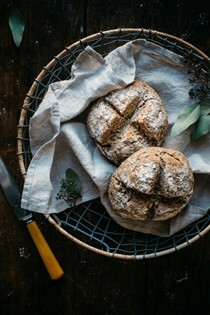 Gluten-Free Artisan Bread in Five Minutes a Day extends their revolutionary stored-dough method to yeasted and unleavened breads made without wheat, barley, or rye. 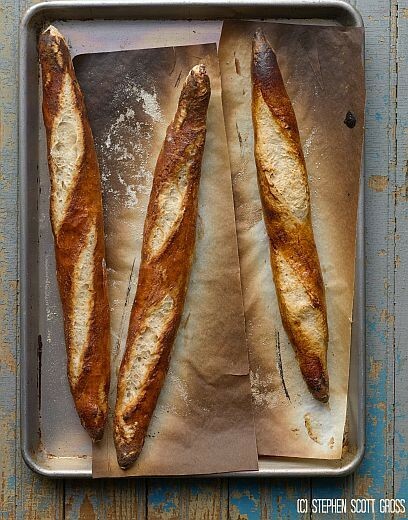 With 90 recipes—plus 100 black-and-white instructional photos and 40 gorgeous color images—the authors adopt the rich palette of world breads to their unique method. With this revolutionary approach, you CAN have mouthwatering gluten-free artisan bread in just five minutes a day!